About Brian: I was born and raised near the Kalamazoo area and moved here in my late 20’s because my job as a police officer brought me here. After exploring all type’s of fitness I found my way to functional training with a colleague in the police force. We began doing a combination of Strongman and CrossFit in an effort to better our on duty fitness. 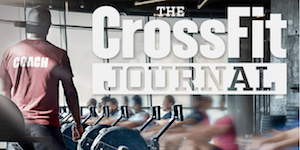 After some time of doing this, and better acquainting myself with CrossFIt and its methodology, my wife and I decided to open a CrossFIt affiliate. CrossFit Tides was then born in Oct 2012. Emily and I truly love being a part of a place where people come to improve their health and fitness, and create long-term relationships with our members. My favorite part of being a coach is... My favorite part of being a coach is helping people realize they can push past any barrier they have set in front of them. I believe that people are capable of so much more than they believe and as a coach we are a small part of unlocking that potential. If I’m not at CFT you can find me: Spending quality time with my family.